Full drag and drop support from and to Windows Explorer. Resume support for download and upload. 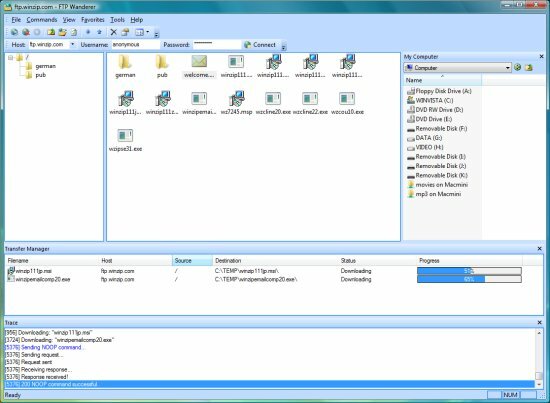 Sophisticated transfer manager where uploads and downloads are performed in the background so you can continue browsing while the application up or downloads your files. Download/Upload complete directory structures (including files) in one operation. Windows 9x/XP style right-click menus. Intergrated local file browser for easier file management. CHMOD support for changing permissions on UNIX servers. Move files and folders to another location on the server.